Waterford Museum of Treasures benefited from the scheme in 2012. 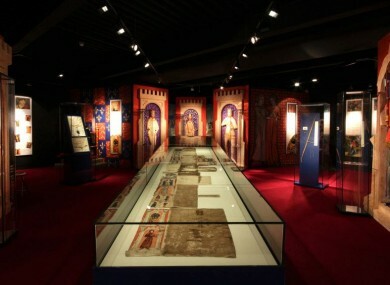 Pic: Medieval Museum Gallery - featuring Waterford's finest Great Charter Roll. IN A BID to promote cultural tourism in Ireland, the Minister for Arts, Heritage and the Gaeltacht has announced up to €300,000 in funding available for regional museum development projects for 2013. The significant expansion in funding for the Local and Regional Museums Scheme – which is designed to support small and medium museums across the country – will benefit suitably-qualified museum development projects, Jimmy Deenihan said. Last year, a total of €57,000 was awarded in development support to small and medium museums across the country, meaning the increase in funding will likely see many more taking part in the scheme this year. Deenihan said that projects funded under the Scheme should seek to make a contribution to the development and promotion of Ireland’s cultural tourism offering, to both domestic and foreign tourists. Projects should also encourage an general increase in the use of local and regional museums. Last year, the Allihies Copper Museum, the Irish Jewish Museum, Rothe House and Garden, the Dundalk County Museum and the Waterford Museum of Treasures. Funding may only be awarded to projects which meet certain criteria; details of the newly expanded scheme are available on the Department’s website. Email “€300k funding announced for local and regional museum development ”. Feedback on “€300k funding announced for local and regional museum development ”.